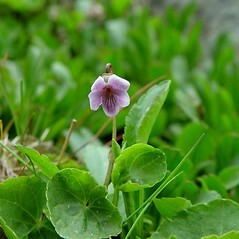 Viola palustris is an acaulescent violet that occurs high in the alpine zone. 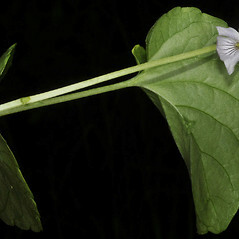 It typically has light blue flowers, though white with a faint (but noticeable) tinge of blue is also seen. 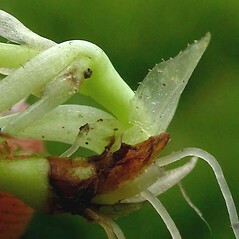 stolons not produced, rhizomes usually thicker than 4 mm, petals blue to dark blue, and seeds 1.5-2.5 mm long (vs. V. palustris, with stolons produced in summer, rhizomes usually thinner than 3 mm, petals pale blue to white faintly tinged with blue, and seeds 1.5-1.7 mm long). 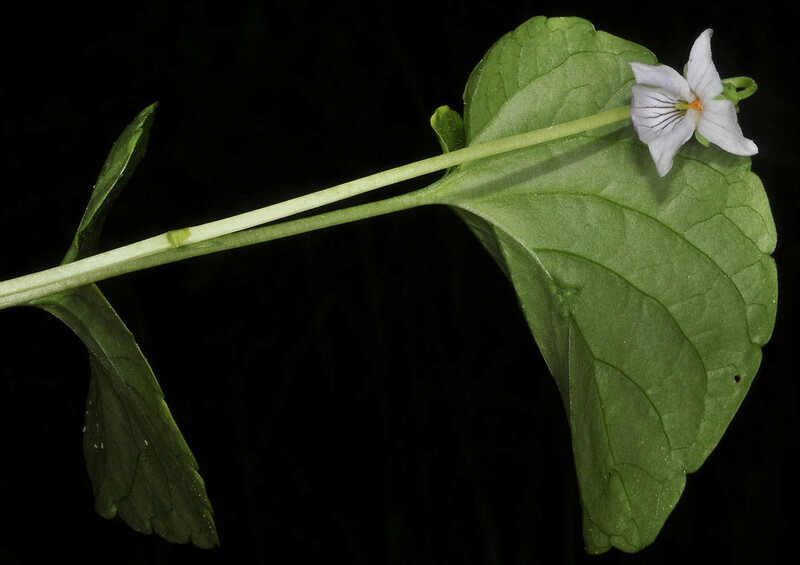 Our variety is Viola palustris L. var. 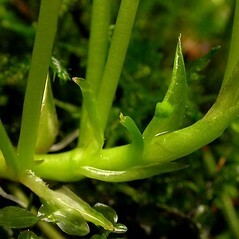 palustris. 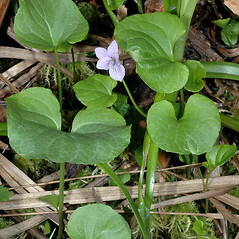 northern marsh violet. 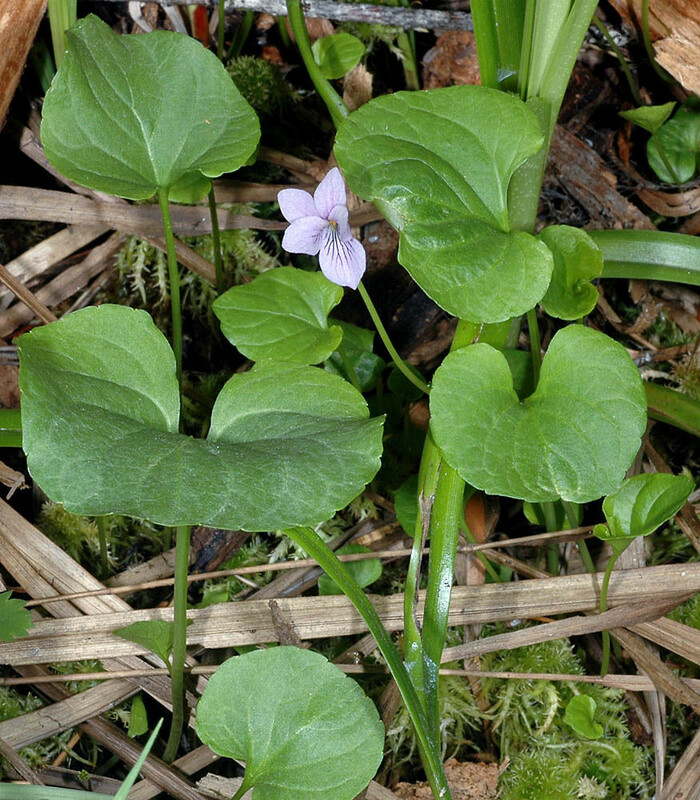 ME, NH; northern portion of states. 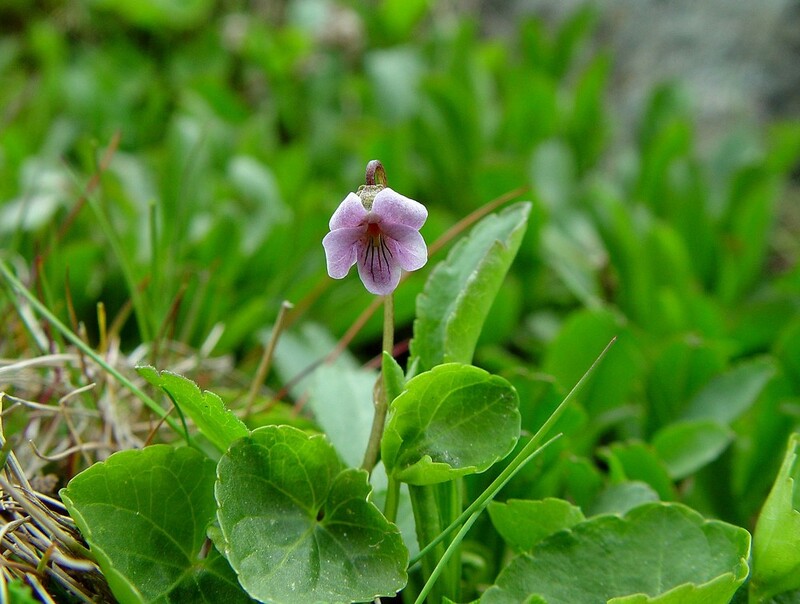 Brooks, mossy seeps, meadows, tarn shores, and ravines in alpine areas. 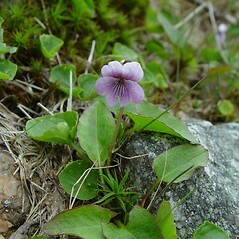 The report of this species in VT by Magee and Ahles (1999) is based on a collection of Viola nephrophylla— Ahles 78926 ( MASS!). 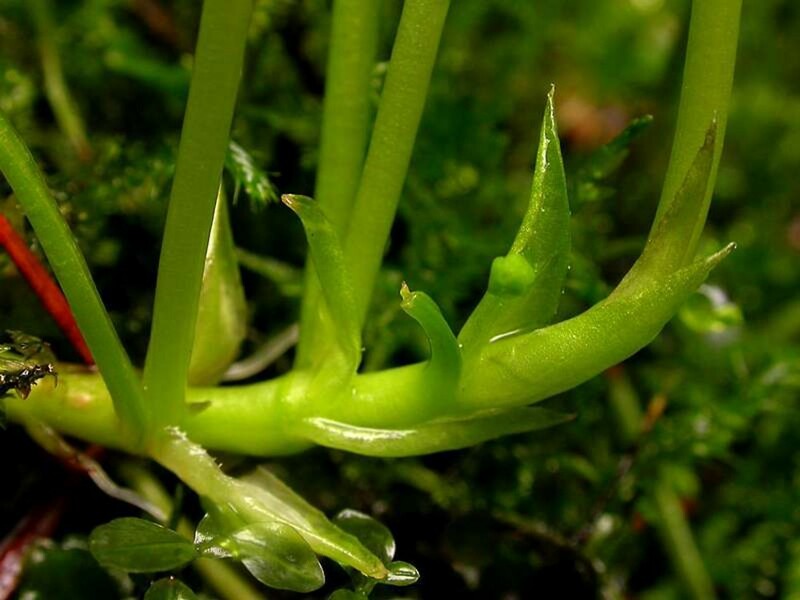 Collections from ME all originate from Katahdin (specimens at CONN!, GH!, MAINE!, NEBC!) 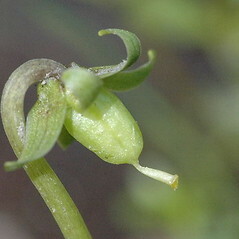 and are problematic in that they all white-flowered (unlike fresh specimens from elsewhere in the northeast). 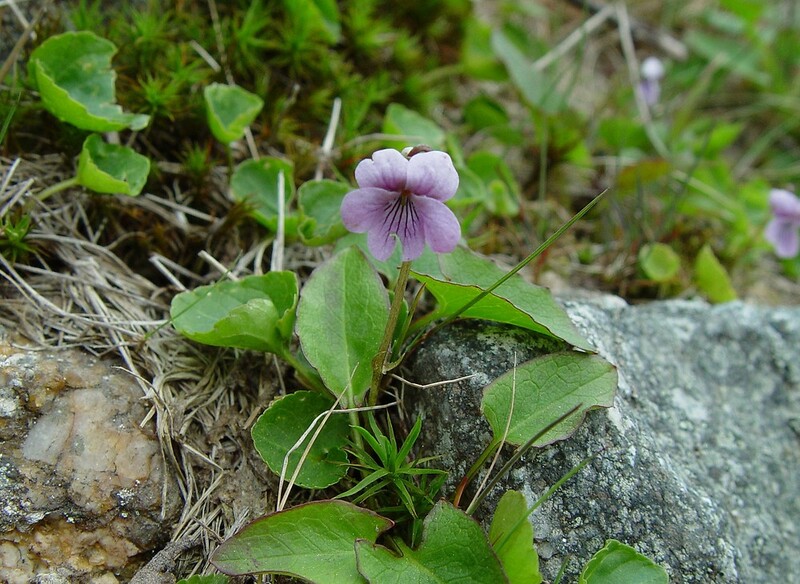 Field searches of the collection sites on Katahdin revealed Viola pallens to be very common (i.e., the herbarium collections from ME are likely not V. palustris). 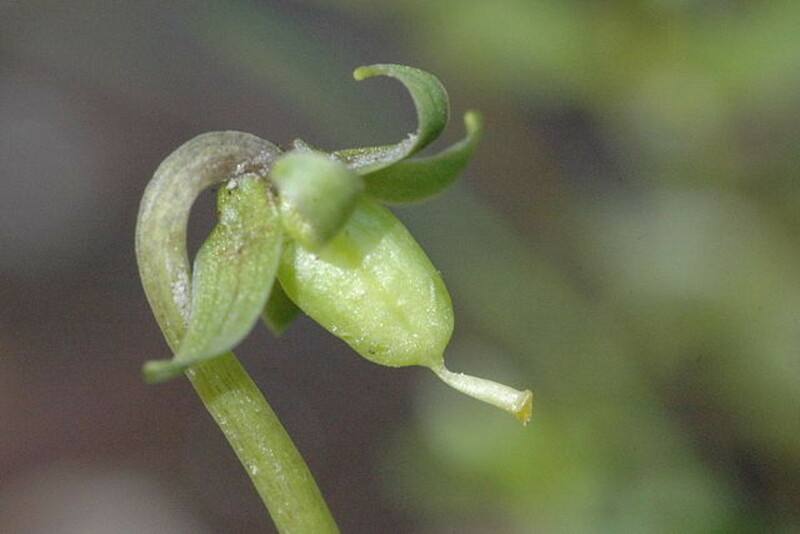 Unfortunately, the specimens are all in flower and fruiting characteristics, which would shed light on this problem, are unavailable.